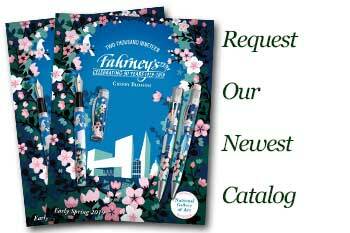 Order your Caran d'Ache 849 A6 Notebook & Ball Pen 4 x 5 3/4 today from FahrneysPens.com. Fine Pens, Refills & Luxurious Gifts – great prices & fast shipping. Caran d’Ache launches a bright new stationery line to complement its iconic 849 writing instruments! Offering the same quality, contemporary design and color, the refined and highly functional notebooks work in perfect harmony with the popular 849s. Inspired by Swiss passport designs, the notebooks are printed with the four national languages on the canvas cover. An elastic pen slot functions as a smart closing system using the included 849 ball pen to keep it secured. Features 192 lined pages in warm white 100gm paper, matching ribbon bookmark and inside pocket for cards and notes. In four color combinations: red with white pen, blue/orange pen, grey/neon yellow pen and black/grey pen (not shown). 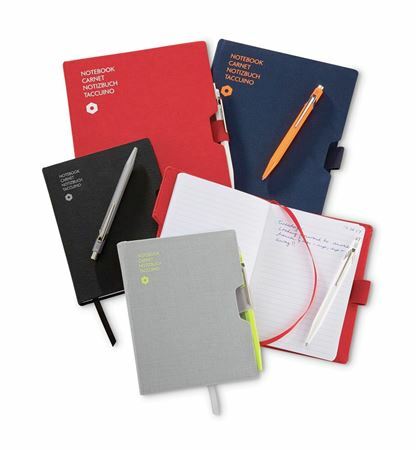 Keep your words and writing organized the Swiss way! Measure 4" x 5 3/4"